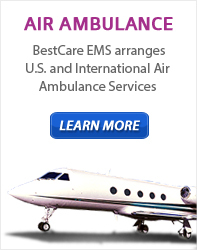 The BestCare EMS operates a diverse fleet of vehicles, all of which are equipped with BLS, ALS, or MICU capabilities. Our specialty units can hold up to 2 Isolettes, monitoring equipment and have the capacity for up to 5 medical personnel on board. Bariatric units are available for patients who required additional lift capacity. Our newest vehicles are, equipped with MOR/RYDE suspension systems, offering the most comfortable ride for patients. BestCare emphasizes vehicle maintenance as part of our commitment to providing the BestCare possible to our patients and providers. The safety and mechanical operations are assured by our BestCare: Vehicle Preventative Maintenance Program (anchor link), which demands every vehicle be inspected daily and serviced every 3,000 miles.